Vehicle chargers at Braehead (70 Colquhoun Street) and Wellgreen (Wellgreen Place Car Park) are now operational, with a further batch of charger installations planned at Springfield Terrace, Dunblane, Forthside Car Park and Balfron in the near future. During the past year the Council has invested around £800K to install electric vehicle chargers in a variety of locations across Stirling, which includes new substations at Forthside and Castleview, as part of a commitment to developing a world class low carbon infrastructure for the benefit of future generations. A further £1.5 million will be invested to create Europe’s largest electric vehicle charging hub at Castleview Park and Ride. Delivered over the summer of 2019, this will see the installation of solar canopies and a major battery storage system with up to 60+ charge points. Convenor of the Environment and Housing Committee, Councillor Jim Thomson, said: “Electric vehicles are the future and these exciting initiatives ensure that Stirling is at the heart of Scotland’s green charging travel infrastructure. “This is one of a number of exciting projects, which will demonstrate to Stirling residents, commuters and visitors that we are committed to green energy. 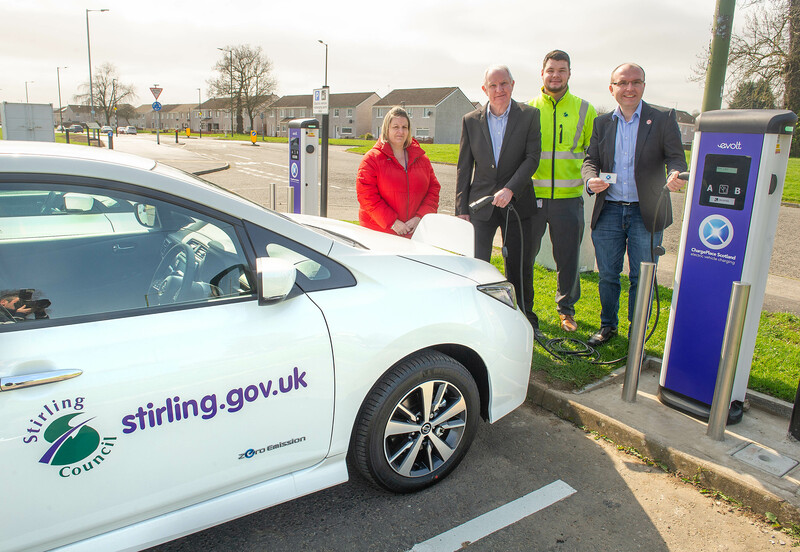 Vice Convenor Councillor Danny Gibson said: “We will deliver considerable investment over the next couple of years, working alongside Transport Scotland, that will continue the transformation of the charging infrastructure across the Stirling district.